Your next purchase of the XPS 13 2-in-1 could be shipping to you entirely in recycled plastics. Dell is once again moving forward in its efforts to be a greener company. Following up on its announcement last year about using recycled carbon fiber, the manufacturer will now be collecting plastics from oceans and beaches to create brand new packaging for the recently released XPS 13 2-in-1. 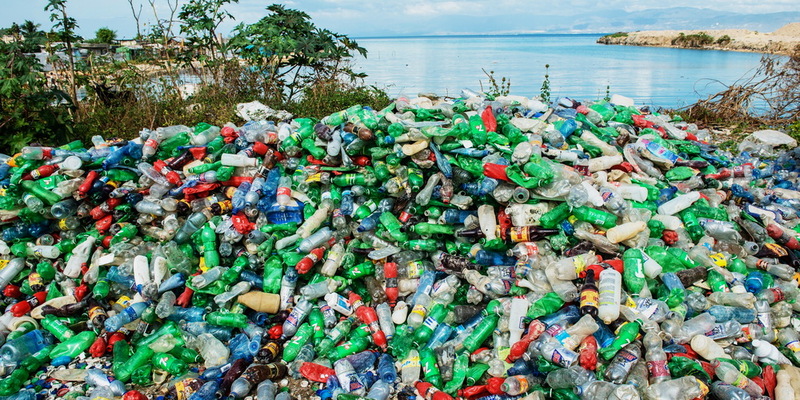 The pilot project has already collected around 8 tonnes of plastic waste for use in packaging. In addition to the new recycled packaging material, Dell will also be providing details to the buyer about the new type of packaging and the importance of protecting the environment. The manufacturer will be marking each package with the HDPE 2 symbol (High Density Polyethylene) to indicate that it can be easily recycled again in most recycling plants. In fact, up to 93 percent of the final weight of the packaging can be efficiently recycled. 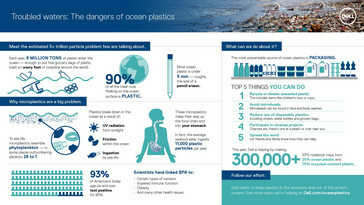 The process of obtaining plastic waste from oceans consists of several steps. 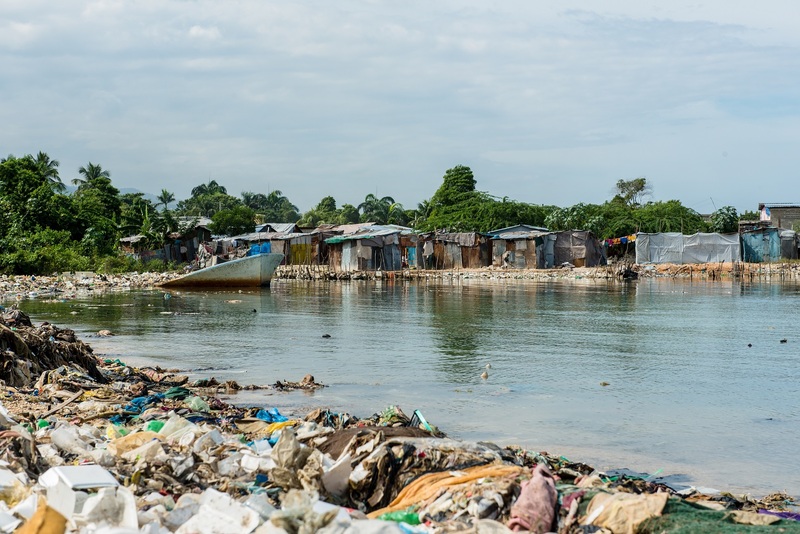 First, Dell has partnered with various groups to collect plastic from a wide range of sources including rivers, waterways, coasts, and beaches. The collected material is then processed with other HDPE plastics and the resulting mixture can be pressed to form new packaging shells. A feasibility study was performed in Haiti during March of 2016 before the launch of the pilot program. The American manufacturer has been using sustainable and recyclable materials in its desktop packaging since 2008 and is the first and only manufacturer to offer computers and monitors made from waste plastics and recycled carbon fiber. Dell is looking to achieve its goal of using 25 million kilograms of recyclable material in its consumer products by 2020. 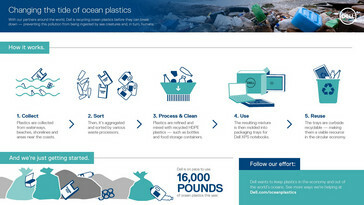 Dell has partnered with the Lonely Whale Foundation and actor Adrian Grenier to help spread the word about ocean pollution. 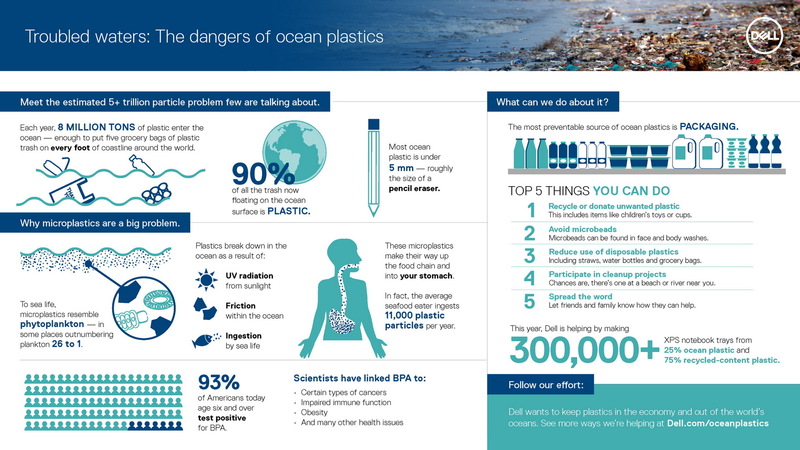 One study claims that as much as 4.8 to 12.7 million tonnes of plastic waste had entered the ocean in 2010 with devastating natural consequences. 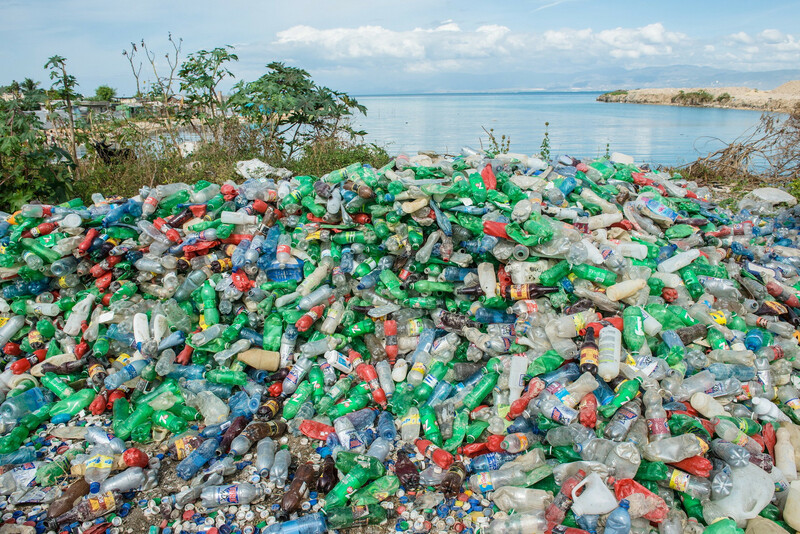 The company has published a white paper in an attempt to initiate a cross-industry plan on how to address the plastic waste problem on a global scale.